We were very excited to see Poppy Delevingne’s wedding covered in the current issue of Porter Magazine. 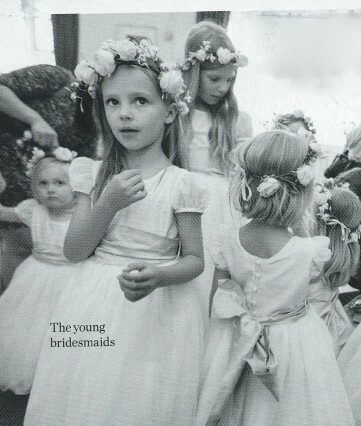 We may be a little biased but don’t the flower girls look gorgeous? Poppy chose our Sylvie dress with an Eau sash and matching shoes, while her pageboys wore matching Eau silk shorts. We are so proud to have been part of James and Poppy’s stunning wedding. This entry was posted in Press, Real Weddings. Bookmark the permalink.